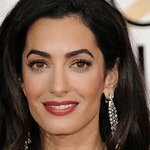 The Watermark Conference for Women Silicon Valley announced today that international human rights lawyer Amal Clooney will be a keynote speaker at the Conference on Feb. 23, 2018 at the San Jose Convention Center. With more than 6500 attendees, the Conference is the largest event of its kind on the West Coast. Additional keynote speakers will be announced in coming weeks. Clooney practices at Doughty Street Chambers in London, where she specializes in international law and human rights. She is also a Visiting Professor at Columbia Law School. Her clients have ranged from political prisoners and ousted heads of state to WikiLeaks founder Julian Assange and the Republic of Armenia. She has appeared before the International Court of Justice, the International Criminal Court, the European Court of Human Rights and various courts in the United Kingdom and the United States. The Oxford-educated lawyer is a frequent adviser to governments on international law and has held a number of posts within the United Nations, including senior adviser to the UN Envoy on Syria. While in The Hague she worked on the genocide trial of former Yugoslav President Slobodan Milosevic, among other cases. She is currently counsel to Nadia Murad and other Yazidi women who have been sexually enslaved by ISIS in Iraq and Syria, working to secure accountability for the genocide committed by ISIS in national and international courts. Amal Clooney is on the UK government’s list of experts on international law and on the government’s panel to prevent sexual violence in conflict. She has also been named a “Young Global Leader” by the World Economic Forum, and she serves on the Forum’s Global Council on Human Rights. In 2016, she co-founded the Clooney Foundation for Justice. Named one of the “Top 100” events in the San Francisco Bay Area by BizBash for its “buzz, innovation, and prominence,” the Watermark Conference for Women offers an unmatched breadth and depth of speakers in fields including new approaches to leadership, gender equity and inclusion, business management, digital strategy, and personal and professional growth. The 100+ speakers at the Watermark Conference include: Nely Galán, self-made media mogul and former president of Telemundo; Shireen Santosham, chief innovation officer for the city of San Jose; Dr. Vivienne Ming, neuroscientist, technologist and entrepreneur; Amy Trask, former CEO of the Oakland Raiders and football analyst for CBS Sports Network and Becky Margiotta, managing director of the Billions Institute and recipient of the White House Champion of Change award. The Watermark Conference for Women Silicon Valley is generously underwritten by co-chair partner Gilead Sciences along with the following sponsors: Johnson & Johnson; Actelion Pharmaceuticals US, Inc.; Amgen; Boston Scientific Corporation; Cisco; Dell; Erin Condren; Harvard Business School; Kate Spade & Company; Lending Club; Mastercard; Medallia; Mercer; Merck; Oath; Oracle; Riverbed; Salesforce; State Farm; State Street Corporation; United Airlines; VMware; and media sponsors KFOG 104.5 San Francisco; KGO 810; KSFO 560; and NBC Bay Area. Registration is now open for the conference. To register or learn more about the event, click here.